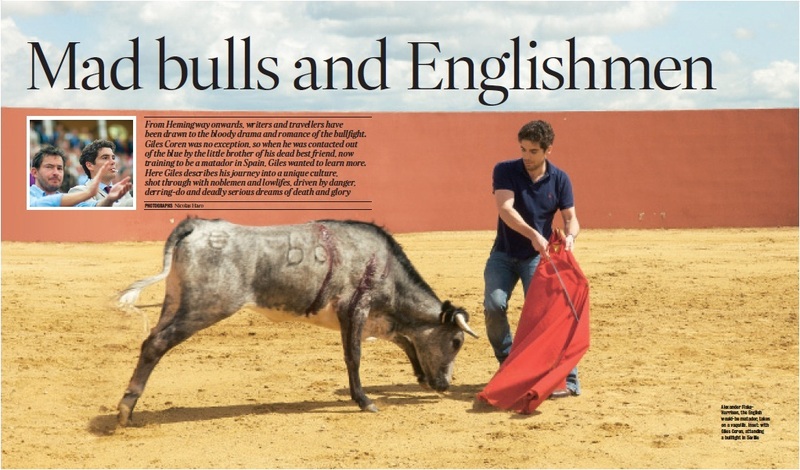 This article of Giles Coren’s was originally published in The Times magazine on Boxing Day ’09 where it is still available along with Dominic Elliot’s film of our day bullfighting here. 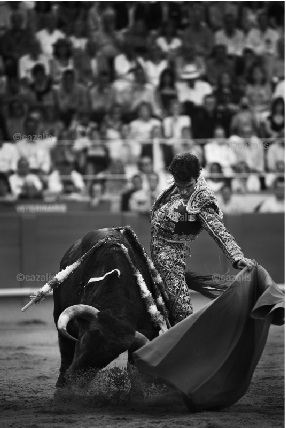 All photos are by Nicolás Haro. 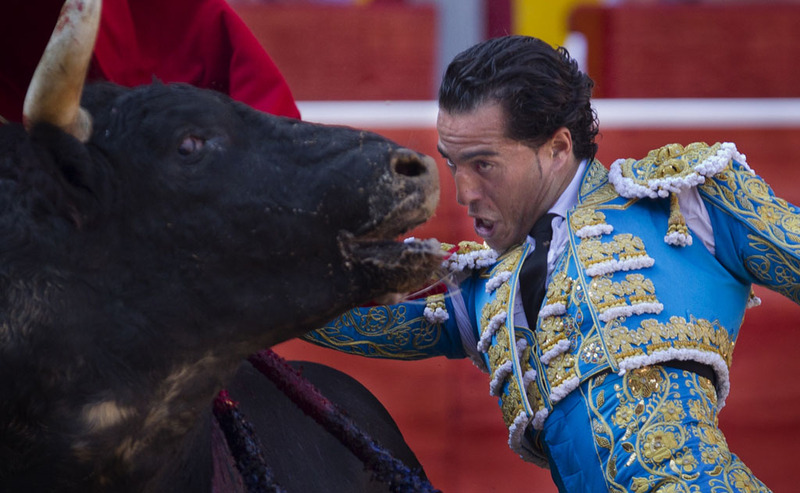 Alexander Fiske-Harrison, the English bullfighter, takes on a ‘vaquilla’ of the Saltillo breed. 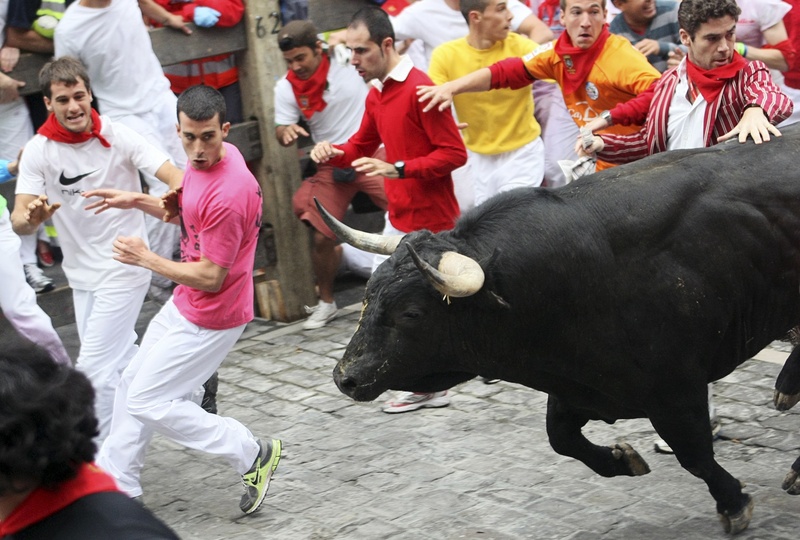 Inset: with Giles Coren, attending a bullfight in Seville.